With this magical silk you will be able to perform various illusions. 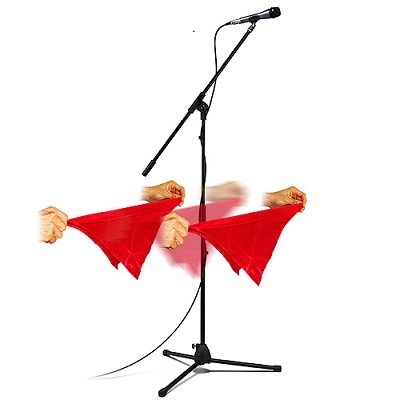 The magician shows a silk and then holds it outstretched between his hands in front of a microphone stand. In the blink of the eye, he pulls the silk backwards with his hands, and it visibly penetrates the stand! The magician shows a solid ring and threads a silk through it. In the blink of the eye the ring penetrates right through the silk! • The silk measures approximately cm 43 x 43 (16,9”x16,9”).